The Luces para Aprender (LPA) program is a regional initiative promoted by the Organization of Ibero-American States for Education, Science and Culture (OEI) and it was approved in 2011 by the Ministries of Education of the Ibero-American countries at the XIX Ibero-American Conference on education in Asuncion, Paraguay. LPA has been nominated in 2015 among the finalist projects for the WISE awards innovative education projects of the Qatar Foundation. Students in Peru benefitted by the Luces para Aprender Program. Credit: Luces para Aprender. 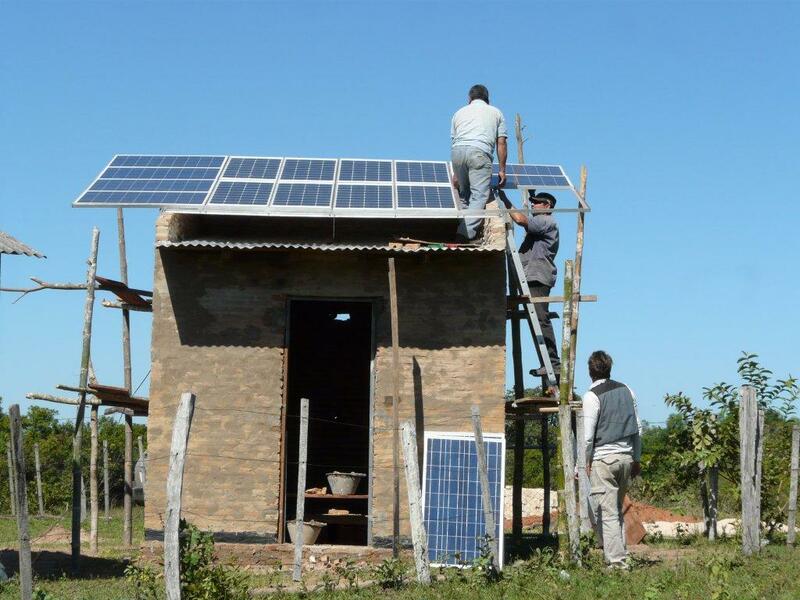 LPA intends to improve the educational quality in isolated rural schools in the Ibero-American region installing photovoltaic panel systems to supply electricity and to equip with computer systems more than 55,000 rural schools with access difficulties. In this regard, it especially benefits afro-descendants, indigenous peoples and population in situation of vulnerability. The ultimate goal of LPA is to contribute improving the educational quality of the regional rural schools as well as improving the development and welfare of these communities. Since the beginning, the deployment of this program in the Ibero-American region has almost benefited 474 rural schools, 22,115 students and 999 educators. The countries that have been benefited by this initiative are: Argentina, Bolivia, Colombia, El Salvador, Guatemala, Honduras, Nicaragua, Paraguay, Peru, Dominican Republic, Uruguay and Panama. Costa Rica is now experiencing its implementation. Mexico, Brazil and Ecuador are negotiating its development with the national ministries of education. LPA was initiated as a solution to the multisectoral problem in the region and it intends to face it involving in each phase of the program the sectors concerned. LPA was adapted to the particularities of each country, with due respect for their institutional context, national legislation and social situation. From a global and integral perspective the social value of LPA is totally confirmed. As a result of this, the goal of this program is to improve the quality and equity of education in order to fight poverty and social inequality (including illiteracy, early school-leaving or child labour) promoting social inclusion. Photovoltaic solar system installation in Paraguay. Credit: Luces para Aprender. Similarly, this program motivates the creation of a Networking Learning Community seizing the communication between schools and educational institutions. In today´s interconnected world the consolidation of these kinds of networks enables this project success as well as making possible that the facilities of these schools continue in an operative manner along time. Accordingly, it enables educators and communities to use ICT tools which are necessary for the School Network. The isolated rural communities where these educational centers are located will not only receive external information, but also will be creators and communicators enabling them to transmit their culture to the entire world, such as creating blogs, videos or using Skype. The Ibero-American rural schools will be creators of education contents and active social agents. Finally, Luces para Aprender is set up as a technical framework of cooperation in an international environment in order to encourage the educational equality in rural schools in the Ibero-American countries. The new challenges for the LPA program is to extend its benefits to more rural schools in Ibero-American countries as well as deploying it in the Portuguese-speaking African countries (PALOP) and East Timor. For 2015, it is expected that the respective negotiations will be developed with the African governments in order to begin the development of the pilot projects. On the other hand, during the second semester of 2015 it will take place the dissemination of the OEI short-film (BIENVENIDOS) of the Spanish scriptwriter and director Javier Fesser. This short-film was inspired in this LPA project and it shows how the internet access took place in a rural school in the Peruvian Andes and how this affects their connection with the world. 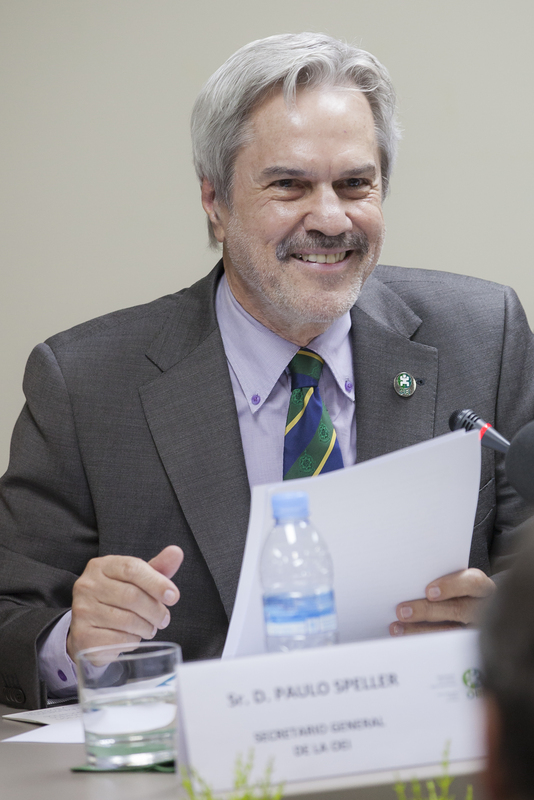 Paulo Speller is the Secretary General of the Organization of Ibero-American States (OEI). He is a psychologist with a PhD in political science. He was the president of the University of International Integration of African-Brazilian Lusophony (UNILAB) from 2010 to 2013, and the Secretary for Superior Education at Brazil’s Ministry of Education from 2013 to 2014.